The revised and updated edition of the go-to guide that has been an essential resource for nonprofit administrators, managers, and business professors since 1984—retooled to address the challenges presented by today’s world. Managing a Nonprofit Organization is a classic in its field. But much has changed since it was last updated in 1999, as the United States reels from political, economic, and demographic shifts, all of which impact nonprofit organizations every day. In the current economy, nonprofits are trying to make ends meet. They are responding to technological innovation in the age of social media and viral marketing. Nonprofit administrators, trustees, and volunteers need Thomas Wolf’s solid advice now more than ever. So do the many college and university students preparing for work in the nonprofit arena. Dr. Wolf’s update of Managing a Nonprofit Organization includes material that tackles the demands and challenges faced by nonprofit managers as a result of the legislative and policy changes enacted after 9/11 and in the wake of the economic collapse of 2008. Highlighting the generational issues facing many nonprofits, as current management ages and a younger generation prepares to take the reins, Dr. Wolf suggests ways for organizations to best manage these transitions and adapt to a rapidly changing world. In easy-to-understand language and with study questions at the end of each chapter, Dr. Wolf explains how to cope with all the changes, giving you everything you need to know to be a highly successful nonprofit leader. The Spencer family lives in a small city in the western United States. Sam Spencer runs a plumbing supply business; Jane, his wife, teaches at a school for the learning disabled. On a typical day, their lives—like the lives of most Americans—are touched repeatedly by the world of nonprofit organizations. • At 7:30 A.M., Jane takes Sammy Jr., aged three, to a day-care center housed at the Baptist church to which the family belongs. She then goes directly to her school, which serves learning-disabled high school students. The day-care center, the church, and the school are all nonprofit organizations. • At about the same time that Jane leaves, Sam is loading his truck with plumbing supplies for the regional hospital, which is located in their city. The hospital, which employs more than a thousand people, is also a nonprofit organization, one that makes a significant contribution to the local economy. • Before leaving home, Sam reminds son John, aged nine, that he should pack his bathing suit and towel because there is swim practice after school at the local YMCA. The YMCA is the city’s principal recreational organization and is organized as a nonprofit. • On this particular day, Jane is on release time from the classroom, taking an in-service workshop on language arts instruction at the local college. The college is the largest nonprofit organization in the city. • While Jane is on release time, half of her students are on a field trip to the science museum, and the other half are attending an open rehearsal at the local symphony. Both of these organizations are nonprofits. • Meanwhile, Sam has completed his delivery of plumbing supplies and drives over to the job training center where he teaches the essentials of plumbing two mornings a week. Although supported almost exclusively with government funding, the center is a nongovernment, private nonprofit organization. • When school is over, Jane meets with a group of teachers who are working on a special grant proposal that they will submit to a local foundation. They are seeking funds to support a computer-based language arts program in their classrooms. The foundation, whose income is derived mainly from a large endowment and is exempt from taxation, is a nonprofit organization. • After leaving school, Jane drives over to a local nursing home to visit her father. The nursing home is a nonprofit organization. • Sam leaves work early to go to a public hearing. A local builder, one of Sam’s customers, has proposed a new development in what was formerly marshland. An environmental group, organized as a nonprofit organization, is opposing the development and is presenting its testimony at the public hearing. • When Jane arrives home, there is a letter from daughter Amy, who is spending the fall of her junior year in South America as part of an exchange program. The exchange was organized by a national nonprofit organization with a local chapter in the city where the Spencers live. • Finally, after dinner, the Spencers receive a call from the public radio station. It is pledge week, and the caller asks whether the Spencers will renew their membership in this nonprofit organization. Jane leaves soon after for a planning meeting for the local Girl Scouts’ cookie drive. The Girl Scouts is a prominent national nonprofit organization. There are over 1.5 million nonprofit organizations in the United States, a number that has increased by over 30 percent in the past decade.1 This includes public charities active in health care, religion, culture, education, human services, and the environment. It also includes advocacy organizations, labor unions, business and professional associations, and social and recreational clubs. The public charities, identified with the special 501(c)(3) designation by the United States Internal Revenue Service (IRS), alone number over a million organizations. This subsector grew by 64 percent over the decade from 1999 to 2009. Despite the tremendous size and impact of the nonprofit sector, it is not well understood by most people. The purpose of this chapter is to describe what nonprofit organizations are, what distinctive features they possess, and what special challenges they pose for the people who manage and govern them. Suppose you asked someone, “What is an elephant?” and the person answered, “An elephant is a nonhorse.” You would probably find the answer unsatisfactory. Yet, the term nonprofit organization describes something that is not something else—it suggests a business enterprise not organized to make a profit. But it tells us very little about the essential characteristics of this type of entity. It is not easy to describe nonprofit organizations, and this is partly what makes managing them such a difficult task fraught with challenges and problems. Unlike management issues in the profit sector, which tend to be clear and related to specific economic measures, issues in the nonprofit environment are more nebulous because they relate to the somewhat abstract concept of public service. In a profit-making company, a manager generally knows whether he or she is doing a good job, but it is often less clear in a nonprofit organization in which the primary purpose is not to make money but to serve the public. Some say that the essential defining characteristic of nonprofit organizations is the fact that they are established to provide a service to the public, and to some extent this is true. But this idea of a public service mission can be misleading. For one thing, there are a number of nonprofit organizations that are not organized to serve the public (for example, country clubs and labor unions). For another, the idea that nonprofit organizations are simply organized to solve some societal problem or deliver some much-needed public service flies in the face of the exclusivity often associated with their respective constituencies. This is perhaps most clear when nonprofit organizations are compared to public (or government) organizations and agencies working in the same area of activity. Although the nonprofit organizations often have a stated public service mission, they do not necessarily have a requirement of equity (that is, a mandate to serve everyone) the way public agencies usually do. As a result, the nonprofit organization’s actual constituency may be far more limited than that of a public agency working in the same field. Others claim that the essential defining characteristic of nonprofit organizations is that their mission is not to make money. Again, this is partly true. But many nonprofit organizations are quite entrepreneurial (again, this distinguishes them from most public or governmental agencies working in the same field). Many nonprofits engage in all sorts of money-making ventures that bear a close resemblance to profit-making entities, and this has been cause for some concern among those working in commercial endeavors whose businesses must compete with nonprofits for customers. In fact, a nonprofit organization is neither in the for-profit sector nor in the public sector but sits somewhere between the two. This position allows the nonprofit great flexibility in its operation but also requires great skill in its management. On the one hand, managers must learn the same management techniques and analytical strategies that apply in profit-making companies. However, while these techniques are relevant in the nonprofit world, their application is dissimilar. Although both profit-making and nonprofit organizations engage in planning, budgeting, accounting, and marketing; although both have to contend with issues of governance, personnel, and information management; and although both have to raise money from time to time, these activities are carried out in markedly different ways. Similarly, while it may be useful to know about the workings of a public agency and the development of public policy, it is not sufficient preparation for the nonprofit manager or trustee. Governance, organizational accountability, financial reporting, and long-range planning are very different in nonprofit organizations whose special defining characteristics are laid down in state and federal law. • They must have a public service mission. • They must be organized as a not-for-profit or charitable corporation. • Their governance structures must preclude self-interest and private financial gain. • They must be exempt from paying federal tax. • They must possess the special legal status that stipulates gifts made to them are tax deductible. Because these various classes of organizations do not have all the characteristics previously listed, their missions, governance structures, or method of management may be significantly different from what is described in this book. By looking closely at each of these, we will continue to refine our understanding of the special nature of nonprofit organizations. An essential difference between for-profit and nonprofit organizations centers on the concept of mission. The ultimate mission of the profit-making entity is to earn money for its owners. Ownership can come in many forms, of course, from outright ownership of the organization by a single individual to shared ownership (by partners or shareholders or some other group). The concept of ownership is completely absent from nonprofit organizations, and consequently the nonprofit’s mission has a totally different thrust. There can be no owners in a nonprofit organization, because such an entity is intended to serve a broad public purpose and the law is clear in specifying that ownership (with concomitant private gain) is incompatible with public purpose. This is not to say that nonprofit organizations cannot make money. Nonprofit organizations can and do make money—in the same way profit-making entities do—but the money that is taken in must be directed toward the public purpose for which the organization was set up, held in reserve, or turned over to another organization with a public purpose. It is much more difficult to identify and articulate the mission of a nonprofit organization and consequently to develop criteria by which success can be measured. In a profit-making organization, because the mission is clear, success criteria are also clear. The mission centers on profitability; thus the criteria for success (and for decision making) include the bottom line, return on investment, sales, profit margins, market share, and other easily calculated measures. In a nonprofit organization, where the mission centers on public service, it is not only more difficult to define purposes, but it can be a bewildering task to try to find the proper yardstick by which to measure success. If the purpose of a school is to produce well-educated citizens, if a peace group is established to oppose the use of military force, if a recreation center is to offer constructive activities to urban teenagers, what criteria should each use to measure success? There will always be quantitative measures at hand—College Board scores for the school, statistics on attendance at political rallies for the peace group, and numbers of participating teenagers in the case of the recreation center—but these measures are only indirect indexes of success. Because the missions of nonprofit organizations center on the concept of public service, one might look to the public sector for models that demonstrate how mission statements are articulated and tested. Unfortunately, there is a problem with this approach. In the public sector, as we have already seen, there is an implied or stated mandate of equity in every mission statement. That is, public agencies are obligated to serve anyone who is eligible for assistance. For that reason, quantitative measures of success are often possible on the basis of the numbers of people served, their geographic distribution, their racial and socioeconomic diversity, and the cost-effectiveness of service delivery. For nonprofit organizations, these criteria may be relevant, but more often than not they are only indirect measures of success. Consider a nonprofit university-affiliated teaching hospital. Unlike the public hospital down the street, it cannot directly measure its success by counting the numbers of patients served and the cost-effectiveness of medical treatment. The nonprofit hospital’s mission of promoting excellence in medical practice through exemplary training is less concrete, and success criteria are more difficult to establish. Thus we come to the first major challenge for a nonprofit organization—that of articulating a clear public service mission. The challenge is not only to come up with a statement that defines what the organization is and what it has been set up to do, but to state these things in such a way that the organization can evaluate its success in carrying out this mission over time. The challenge of developing a good mission statement includes creating a text that is sufficiently broad to encompass the many possible activities that the organization may wish to engage in. This is crucial inasmuch as the law obligates the trustees of the organization to limit their activities to those covered by the mission statement as articulated in the organizing charter. However, in addition to a broad statement of purpose, a mission statement is only valuable if it gives some specific guidance on the direction the organization should take in regard to programs, services, and activities. In designing a mission statement, whatever is decided on is not cast in stone. Although the filing of the statement of purpose with the organization’s incorporation papers is an important step, this document can be updated and changed through a clearly articulated legal procedure, and in many cases, working mission statements are modified regularly without going through the legal process. Mission statements should be reviewed and revised periodically because such a process is itself valuable in helping to clarify the assumptions and desires of those most involved in the organization. How is a mission statement created? Let’s look at a case history. The purpose of the Utopiaville Arts Council is to develop, foster, and promote the arts as central to the lives of the citizens of the city of Utopiaville. While this statement certainly met the standard of being broad, the city council members were not satisfied. They felt the statement was too broad and did not provide enough of a sense of direction and intent. The planning group devised several more complex statements but could not find one that had the resonance of the first. This new mission statement was far stronger than the first. Not only did it include the original compelling opening words (which are all that most people committed to memory), but it also included a more detailed framework from which the organization could develop a coherent program. And, of equal importance, it provided a structure against which some meaningful evaluation of the organization’s effectiveness could be carried out in the years to come. James Sully is the president of the board of a summer camp in Northern California. The camp was founded in 1949 primarily to serve the needs of at-risk youth, and it runs a special program for inner-city teenagers on its pristine acreage in the mountains. The camp’s program has been based on a curriculum of outdoor survival skills, and teenagers of all ethnic and racial backgrounds have been encouraged to work in groups to foster increased understanding, trust, and affection for one another. • A legal aid group, in the face of continuing cuts in government funding, must decide whether it will begin to charge clients a modest fee in order to generate much-needed earned income (the mission statement talks about providing free legal aid). • A church must decide whether to take a stand on women in the priesthood. Regardless of the position it takes, it risks alienating a large number of church members. Yet the minister believes that the mission of the church is to provide guidance on moral issues. • An all-male school, responding to decreasing enrollments, has been advised by a marketing consultant to go coed. Yet the faculty and many alumni feel that the original mission to offer a quality education to young men is still valid. • A symphony orchestra, organized to improve the quality of the musical life of its city, must decide whether to increase the number of pop concerts and decrease its regular subscription concerts of classical music. The programming change would assist the organization in meeting its payroll but, some say, would compromise the mission of the organization. • A women’s health organization, founded as a collective, must decide whether it will reorganize around more conventional management lines in order to increase efficiency and professionalism. Several of the organization’s founders believe that collective management is central to the organization’s mission. Each of these examples suggests a choice between risks and compromises. The original missions of the various organizations suggest one direction; prudence and good management sense suggest another. Staying true to the original missions may be risky and expensive, yet focusing only on the relative security of organizational survival may lead to a compromise in principles. The tug between these two competing tendencies is constant in the nonprofit environment, and it becomes extreme when organizations are under pressure, when funds are scarce, and when there is lack of agreement about basic purposes. Once again, the contrast with the public and profit sectors is striking. In the public sector, risk is measured in political terms and agencies generally have a clear idea of how far they can and should go. The authorization to operate comes from elected officials who set limits on what is permissible. To extend those limits requires political persuasion, advocacy, and, in extreme cases, a change brought about by voters who put new people in office. In the profit sector, businesses are constantly faced with choices involving varying degrees of risk. But the risks are almost always measured in terms of the ultimate return or payoff. If the effect of a risky decision today is greater profitability tomorrow, then the decision may have merit. The situation for the nonprofit organization is different because the standards of value are not stated primarily in political or financial terms. Who can decide how much it is worth to take a moral stand, perform more classical music, preserve a collective decision-making structure, or continue to provide free legal aid especially if risk in each case will not lead to greater profitability? In fact, in most cases, the risks described will place greater financial burdens on the organization. Thus there is no single, simple criterion on which to base a decision. It is a judgment call. On one side are the people who say the organization cannot afford to put itself in jeopardy; on the other side are the people who claim that a nonprofit organization that does not stay true to its ideals should not continue to operate. Consider the following example of an organization that successfully met this challenge. The Legal Education Society has been in existence for several decades. Its mission is to provide legal assistance in a variety of ways—legal advice to individuals who cannot afford it, legal assistance to nonprofit organizations, and scholarly contributions to advance the public’s understanding of the law. The multiracial board of directors of the Legal Education Society is composed of lawyers, judges, and private citizens representing different socioeconomic groups. At present, the organization is adequately funded, has a modest endowment, and has a permanent staff of twelve people. In 2003, the Legal Education Society hired a woman who was widely recognized as one of the brightest young lawyers in the country to be the society’s executive director. She had been on the Law Review at a prestigious law school, had contributed significantly to the law literature, and had spent two years clerking for a Supreme Court justice. Her appointment was hailed as a turning point in the history of the Legal Education Society. However, it was a turning point in a way that no one had expected. During the first four years of her tenure as executive director, the young woman pleased everyone. She added programs, secured increased funding, wrote important articles, attracted new staff (including minorities and women), and appeared to be the dynamo that everyone thought she would be when they hired her. After four years, her interest began to shift. With her growing prominence in the field, organizations throughout the country wanted to hire her as a consultant to advise them on setting up legal education programs. At first, she accepted these assignments only on weekends and vacations, having received permission to do so from the board of directors. But as the demand for her consulting services grew, as her own interest in these projects increased, and as the scope of the projects demanded greater time commitments, she asked the board whether she might set up a small consulting program through the Legal Education Society, bringing the consulting contracts through the organization. The advantage, she explained, would be that the Legal Education Society could earn income and expand its influence nationally in the field of legal education. At first, the arrangement worked well. Two large contracts during the first year netted the organization $82,000 in additional income. The Legal Education Society was cited as a leader in its field. The executive director, with the assistance of several key staff people, continued to be happy with the challenge and growth of the consulting work, but the Legal Education Society’s primary constituency back home was becoming restless. The focus of the organization was changing. Individual staff members appeared to be less interested in their constituents’ problems as they became more focused on the problems facing people halfway across the country. The board of directors was receiving conflicting signals. The national press and funding agencies throughout the country were praising the work of the Legal Education Society; the local constituency (individuals and organizations seeking services) was complaining about inadequate response and attention. On the fifth anniversary of the executive director’s tenure, she proposed a major restructuring of the Legal Education Society in which the consulting business would become—within five years—the major activity of the organization. Her plan, brilliant in its conception, saw the organization doubling its budget and staff during that period and becoming far less reliant on grants. Legal assistance would still be provided, but it would be offered through a number of subcontracts, and the Legal Education Society would simply act as broker. One of her justifications for the plan was especially compelling. At the time, federal and state governments seemed to be placing less priority on the funding of legal aid programs, and the private sector did not indicate enthusiasm about making up the difference. Realistically, there was less money available and greater competition for that money. By way of contrast, she explained, the consulting business offered a very promising financial future. There was no doubt in the minds of those serving on the board of directors that the executive director could pull off the plan. Her ability had been proven time and time again. There was also no debate on the question of the funding outlook. Simply stated, the funding picture for basic legal services looked bleak. However, the board of directors was concerned about what impact the change would have on the organization’s central and original mission. Although a consulting business would ensure organizational survival and continued growth, it would also mean a major shift away from basic legal services for the poor and for nonprofit organizations. That need existed, now more than ever, and several community members of the board of directors argued passionately that the organization must return to its original purpose. The question was debated for two months. Surveys were conducted among both constituents and national authorities. At first, the majority of trustees seemed to favor the executive director’s plan. But another group stated unequivocally that it was the legal obligation of the board of directors to safeguard the organization’s mission, and they threatened to seek the support of the state attorney general to compel the board to reject the plan. In the end, the board of directors, in a close vote, turned down the executive director’s request and called for a new plan that would return the organization to its original mode of operation. A year later, the Legal Education Society had a new executive director, a smaller (and mostly new) staff, a smaller budget, many new board members, and a clear sense of its place in the community. In the interim, the previous executive director had started a consulting firm and staffed it with many of her former employees. One of her first clients turned out to be the Legal Education Society, which even now continues to draw on her experience and expertise. Did the board of directors make the right decision? Some people would say yes; others would disagree. It is unlikely that the state attorney general would have intervened in the case—although in theory he would have had legal standing to do so had some of the trustees convinced him that the organization’s mission was being compromised. Regardless of the merits of the case, the fact that such a legal action was threatened indicated the troubling aspects of the executive director’s plan in the minds of some trustees. In the end, there was no right decision because “right” depended on each person’s point of view. In spite of this, there was a correct and responsible course of action, which was the decision to debate the executive director’s plan in an open and informed manner. The trustees considered the question of mission on the one hand and organizational security on the other. They weighed their options and came down in favor of a recommitment to the original mission. Those who disagreed (the executive director, some of the staff, and some of the board members) left the organization, and although they were disappointed with the decision, all believed in the integrity of the decision-making process. The organization had successfully met the challenge of risk/survival analysis. HOW LARGE AND DIVERSE A PUBLIC? The mission of every nonprofit organization centers on serving the public. But what precisely does that mean? The public, in the broadest sense, is everyone; yet few nonprofit organizations see themselves as offering their services to everyone. Unlike public agencies, they do not operate under any such implied or stated obligation. Therefore, every nonprofit organization must decide how broadly to define its constituency and how large or diverse a public to serve. This decision is not simply a theoretical one. It is practical. The decision has ramifications for programs and activities, fund raising, budget planning, and staff size and structure. It touches on questions of constituency representation on the board. It is a question that cannot be finessed through a mission statement that refers in a general sort of way to “serving the public.” The organization must demonstrate the scope of its service and interests through its governance, its staffing, its programs, and its activities. The contrast with profit-sector organizations sharpens our understanding of this special characteristic of nonprofits. In the profit sector, an organization’s public is determined by its need to sell products and services. Therefore, its public consists of those who have either a direct or indirect effect on profitability: its customers and clients, its employees, and those significant others who can either promote or hamper the organization’s ability to carry out its activities. Significant others, in the case of an oil company, might include a senator considering environmental restrictions on drilling; for a major bank, it might include a group of journalists who regularly cover economic and financial issues. Each of these constituency groups—customers and clients, employees, and significant others—is important to a profit-making entity to the extent that it can influence the business enterprise, and the primary strategy for dealing with each group is determined from a business perspective. For example, a profit-making company may survey the attitudes and predilections of its customers and clients, adjust its products and services accordingly, and then adopt marketing strategies to promote an image of service. It might offer its employees a generous benefits package or a bonus to promote good management/employee relations. In some cases, it might decide to make certain kinds of investments to promote a positive public image among those whose opinions can affect the conduct of business and, ultimately, profitability. The business may make contributions to political candidates to try to influence legislation, or it may make charitable contributions to promote an image of a caring organization. When these decisions are explained to the organization’s owners or investors, they can be justified on the basis that they promote the business’s own interests. In all cases, service to and involvement of various constituency groups is seen as a strategy, and in no case is involvement of the constituency in the decision-making process seen as essential. In the nonprofit world, the situation is completely reversed. Service to the public is not seen as a strategy; it is an end in itself. While a nonprofit organization can engage in many of the same activities that were described for the profit-making business—surveying its constituency to adjust products and services, promoting harmony among employees, and even, occasionally, making contributions to other charities—it does so out of a conviction that these activities further the organization’s service mission. In order to be effective, the organization cannot keep its public at arm’s length. Broad involvement of its public at all levels of operation is absolutely necessary to achieve effective nonprofit administration. Yet, the nonprofit organization does not have the same kind of public mandate that the government (or public) agency does. The public agency, because it is tax based, theoretically must offer its services to anyone. In many cases, “anyone” is restricted to people or organizations meeting certain eligibility requirements. But there are two significant points here. First, eligibility is always defined precisely, usually in quantitative terms (for example, people over sixty-five, people who earn less than $10,000 per year, organizations with budgets of less than $100,000 per year, or nonprofit 501(c)(3) organizations). Second, once eligibility criteria are set, anyone who meets those criteria is eligible to be served. Not so with the nonprofit organization. Such an organization has the luxury of picking and choosing who it wishes to serve. But this very flexibility is also a challenge. Defining the constituency too narrowly or failing to include representatives of that constituency in the operation of a nonprofit organization may have negative consequences. This is the third major challenge for a nonprofit organization, the challenge of constituency identification and involvement. A nonprofit organization must identify clearly those it intends to serve, and once it does so, it must work toward an organizational structure—through board, staff, and activities—that reinforces its commitment to that group. The various decisions that follow the identification of an organization’s constituents establish its specific image in the community, provide a clue to potential funders concerning its public commitment, and either attract or repel the people the organization wishes to serve. • An art museum fails to secure a grant from its state arts agency because its programs “serve only an elitist and affluent audience.” It is encouraged to find ways to reach out to a broader public. • A health clinic based in an urban neighborhood claims to be serving its community, composed of 80 percent black residents. Yet, despite efforts to attract blacks to the clinic, nearly all of the clinic’s patients are white. Significantly, so are its entire board and staff. • The board of directors of a community recreation center is mystified by the low attendance at a newly planned series of events. The problem stems from the fact that the events were planned by a consultant who failed to seek community input. • The IRS challenges the tax-exempt status of a nonprofit literary marketing service on the grounds that membership is open only to a select few who derive clear financial benefits from the association. • In the case of the art museum, the director of the funding agency that dispenses public tax dollars says her grants committee is unwilling to “see the taxes of poor people going to pay for the pleasures of the rich.” She claims that her agency might feel very differently if the museum offered subsidized admissions for senior citizens, attempted to make the facility accessible to the disabled, provided informal programs in community locations, or offered an educational program for local schoolchildren. • In the case of the health center, the organization’s mission statement refers to service to its community, but the organization’s all-white board and staff (all of whom live elsewhere) transmit a different message to the black people who are local to the neighborhood. It is an example of actions speaking louder than words. • In the case of the recreation center, the organization appears to have alienated its primary community constituency by placing too much confidence in the abilities of a consultant. Perhaps if community representatives had been involved in the planning process from the start, there would have been a greater sense of ownership once the programs were established. • Finally, the literary organization offers a chilling preview of what can happen when an organization defines its membership and services too narrowly. The consequences of ambiguity about the nonprofit intent of the organization are possible loss of funding and ultimately of tax-exempt status. One of the most important steps for a nonprofit organization, as we have seen, is to determine its mission. Doing it well requires a lot of thought and discussion. But there is another aspect of mission that is even more challenging—deciding at what point it is no longer appropriate, or determining where there are other organizations that can fulfill the mission more effectively. This test for organized abandonment is so difficult to apply that many nonprofit organizations simply struggle along year after year without ever facing up to the fact that their existence is of very little consequence to anyone outside of the organization itself. Consider the organization whose mission centers on the eradication of a particular disease. What should happen to that organization when a cure for the disease is discovered, medicine made available, and the disease eliminated? At first glance, it would seem obvious that the organization should disband. But should it? It has over the years built up a loyal constituency. Might that constituency be encouraged to join the fight to eliminate another disease? Or consider the organization that has been allowed to atrophy over the years and now finds itself surrounded by a number of younger, more vital organizations that appear to be carrying out its mission more effectively. This would appear to be a clear case where the organization should disband. But again, one should not jump quickly to conclusions. By whose standards is the organization judged moribund, and by what criteria is it determined that others are carrying out its mission more effectively? The concept of organized abandonment is central to our understanding of nonprofit organizations and illustrates one of the principal difficulties in responsible governance and management. Organized abandonment refers to the planned phasing out of an organization’s operation. The word organized is used to characterize a kind of disbanding that is the result of careful deliberation rather than of unwelcome and unexpected financial reversals, management upheaval, or other external or internal crises. One of the major problems in the nonprofit world is that the test for organized abandonment is difficult to apply because the criteria by which judgments are made are relative and subjective. Once again, the contrast with the profit and public sectors is clear. In the profit sector, when an organization loses money for any length of time and the future does not promise a turnaround, it is usually a signal that something must change. Investors move in to cut their losses, and the organization may be sold, disbanded, or reorganized. There are two essential differences in the nonprofit sector. The first is that it is not nearly as obvious when things should change because there is not a single, objective criterion by which to measure success or failure. Second, there is no predictable outside pressure to reorganize or disband. There is no voting group moving quickly to protect its investments, and the governing group and staff can continue operating for years without a real sense of purpose or standard of excellence. In the public sector, there is also a clear difference in knowing when to cease operations. For a government agency, publicly elected individuals hold the purse strings and review the agency’s achievements and plans. The agency must perform to the elected individuals’ satisfaction or its funding, and sometimes its continued existence, is threatened. Periodically, the agency may be further subjected to some form of “sunset review” that requires a formal justification of its continued existence before it is authorized to continue operating. No such external pressures are brought to bear on private nonprofit organizations. The following case may provide insight into how this can be accomplished. In the late twentieth century, a federal agency, in partnership with three state agencies from northern New England and with the help of several area corporations, put together a funding package to promote exemplary health education programs in rural Maine, New Hampshire, and Vermont. A new private nonprofit organization—the Regional Health Network—was established in New Hampshire. Its mission was twofold: first, to improve the quality and quantity of health education in the three northern New England states through workshops, seminars, classes, and community events, and second, to upgrade the expertise of schools and community groups in establishing permanent ongoing programs at the local level. For ten years, the Regional Health Network thrived. Its budget increased, its staff grew to ten people, it was given a home within a large university, and its program was cited as a national model. Then things began to change. The funding of the Regional Health Network became more precarious because the federal agency changed its funding priorities and state agencies followed suit. The funding crisis was the result of a policy shift for which the Network was not to blame and over which it had no control. The Network’s federal and state funders had decided to establish regional health education organizations, but the definition of the New England region was six states. The Network, because it served only three states, was not considered an appropriate recipient of funding. Hence, through a technicality in federal and state policy, continued funding for the Network appeared to be uncertain. Money was not the Regional Health Network’s only problem. From its inception, the Network’s constituency had been composed largely of volunteers with little experience in health education. Initially, teachers, parents, and other volunteers continually praised the technical assistance provided by the Regional Health Network staff, stating that “we never could have done these programs without you.” But ten years later, the Network’s constituency was becoming far more sophisticated. Many of the local programs were staffed by professionals, and these people were demanding either that the Network provide better and more extensive services or simply turn the scarce federal and state money directly over to them. It is fortunate that the Regional Health Network had defined its mission clearly, set up evaluation criteria, and was willing to engage in the test for organized abandonment. By doing so, it was able to provide improved services to its constituents, preserve all of its important programs, find satisfying new jobs for its staff members, and ultimately, to disband. The organization went through the following steps to determine whether organized abandonment was appropriate. An evaluation was done to determine how well the organization had fulfilled or was fulfilling its mission. Through the evaluation, it was discovered that the ten years of developmental work in rural northern New England had spawned a large number of ongoing, self-sufficient programs in both the schools and community organizations—a discovery that pleased the board but indicated that the need for developmental work had diminished. The evaluation also revealed that while the need for health education, technical assistance, and resources was still great, the Network’s constituents were looking to larger and better-funded organizations to provide these resources and the Network was becoming less important to them. Subsequent to the evaluation, the board and staff of the Network talked to funders in both the public and private sectors to analyze the financial prospects for the future. While most of the funders said they would be willing to help the organization by making small gifts toward its programmatic activities, no funder was willing to underwrite basic administrative costs. The federal and state agencies that had originally provided the administrative underwriting were in the process of designating another organization (which serviced six states) to be the official regional organization, and federal policy required that only one organization per region could receive basic administrative underwriting. Thus, the Network’s financial future did not look good. The board and the staff of the Regional Health Network met for several months to consider the situation. Could the organization change its mission in order to secure basic administrative funding? Should the organization charge for its services? Should the staff be cut to one or two people so that the organization could continue to run a token program, hoping for a better future? Each of these alternatives and many others were considered. But each was rejected. The original mission of the organization had been right for its time. Much of what the organization had set out to do had been accomplished. Now there were other organizations that were carrying out the balance of the mission with greater effectiveness and financial viability. The board voted to disband but set up a nine-month timetable to make sure that every significant program of the Network was placed in another organization, that each member of the staff had another place to go, and that a history of the organization and its accomplishments would be written to become a part of the public record. Several of the programs were absorbed by the new six-state regional organization, based in Massachusetts, and to ensure continuity through the first year of transition, that organization hired the Network’s executive director as a full-time consultant/coordinator for program implementation in the three northern New England states. Fifteen years after it had been established, the Network closed its doors for good. It did so after a champagne reception to celebrate its accomplishments and the future of its programs. The history of the Regional Health Network is a success story in nonprofit administration. Its success is represented not only by what it accomplished during its twenty-plus years of existence but also what it accomplished in disbanding at the right time and in the right way. There are many nonprofit organizations that would benefit from a close analysis of the history of the Network, particularly the events of the final two years. This history demonstrates how one nonprofit organization met the challenge of accountability to its mission. 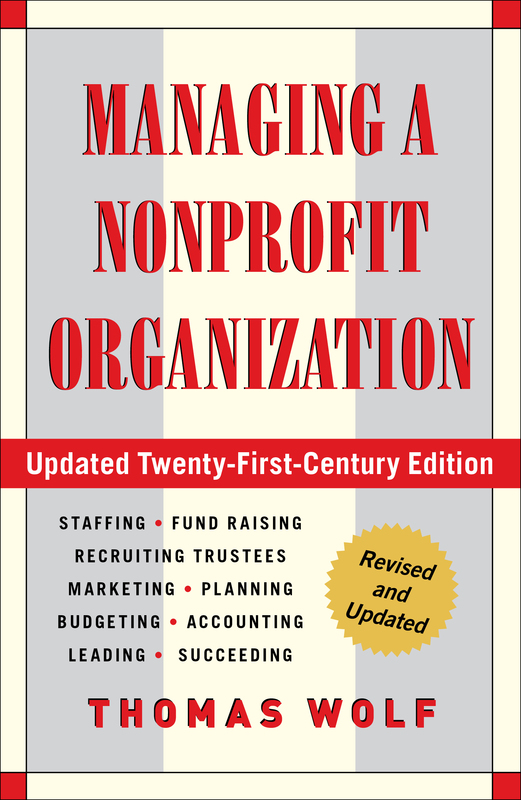 The purpose of this chapter has been to describe some of the more important characteristics of nonprofit organizations and the consequent challenges that face those who govern and manage them. These challenges, when properly met, provide a basic framework for responsible governance and management in nonprofit organizations. 1. Has the mission statement of your organization been reviewed within the last five years? 2. Does the mission statement contain both a broad statement of purpose and a more detailed framework from which your organization can develop a coherent set of activities? 3. Has a planning process been developed that balances the need for organizational and program development with long-term financial security? 4. Who are your organization’s constituents? Are they well represented in the organization? Are they well served by the organization’s activities? 5. Has there been a formal test for organized abandonment in your organization within the last decade? 6. What criteria have been developed to evaluate the continued relevance and appropriateness of your organization’s mission and activities? Dr. Thomas Wolf's career spans over four decades and encompasses the fields of philanthropy, education and the arts. He established the Cambridge office of WolfBrown in 1983 after serving as the founding Director of the New England Foundation for the Arts. His clients have included ten of the fifty largest U.S. foundations, government agencies such as the National Endowment for the Arts, and treasured international cultural institutions like the British Museum, the Boston Symphony Orchestra and The Kennedy Center. 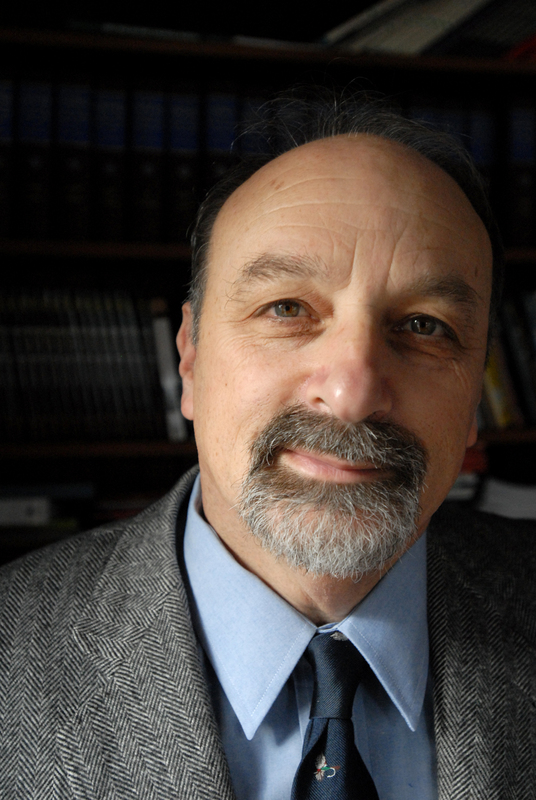 Dr. Wolf is the author of numerous articles and books. He lives in Cambridge, Massachusetts.